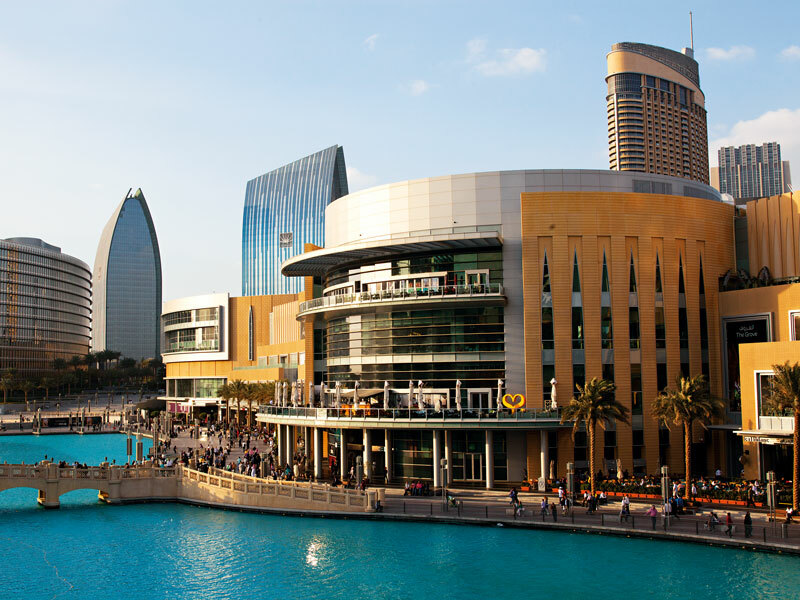 Sprawling across the desert terrain, the Dubai Mall is a sight to behold. This behemothian construction covers 13 million square feet and boasts more than 1,200 stores, along with an indoor theme park, cinema complex and an aquarium and underwater zoo. The mall’s glittering facade hides its true fortunes, though. Footfall has stalled entirely in recent years, remaining stubbornly at 80 million annual visitors since 2014 despite ongoing expansion of the mall and its surrounding area. This stagnation is not limited to the Dubai Mall, either: across the globe, so-called ‘supermalls’ are struggling in the face of changing retail habits and a shift to online commerce, which is robbing them of millions of customers. Clusters of retailers have existed since the Roman era in the form of bazaars and market squares, but have always grown organically with the infiltration of new traders and products. Modern supermalls are markedly different in that they are a planned destination for commerce, with a fixed number of retailers all vying for prized consumer attention. Over the course of the 20th century, as businesses realised the value of a concentrated pool of customers, malls began to swell in size. North America and Asia emerged as the top two players in the commercial fight; from 1986 to 2004, the largest enclosed shopping mall in the world was the 3.8 million square foot West Edmonton Mall in Alberta, Canada. It was superseded in 2005 by the current world leader in terms of gross leasable area, the New South China Mall, which boasts just under 7.1 billion square feet of retail space – enough for 2,350 stores. There’s no denying that supermalls’ popularity persists today. The US’ largest mall, Mall of America, welcomes more than 40 million people annually – more than the combined populations of North Dakota, South Dakota, Iowa and Canada. 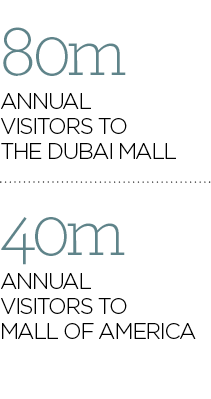 Including revenue taken in retail stores, attractions and hotels within the mall, it generates nearly $2bn in economic activity every year and employs more than 11,000 people from the surrounding area. Supermalls are particularly at risk due to their exorbitant running costs. For example, it cost more than $650m to build Mall of America in 1992 – in comparison, an e-commerce site can be built for a few hundred dollars. The mall’s management team is currently in the process of expanding it further too, adding a $250m water park. That’s just the initial charge, without factoring in maintenance costs of both the water park and the building itself, which, along with electricity, gas and water, could amount to millions of dollars on an annual basis. Security at Mall of America alone costs a staggering $1.1bn every year. This financial drain becomes particularly problematic if it is not offset by consumer spending. Ironically, the New South China Mall, located in Dongguan, is an example of this: when it was constructed in 2005, it was originally intended to attract over 100,000 visitors per day, but for the first 10 years of its existence, it was dubbed a ‘ghost mall’, with just one percent of the retail units leased and very few visitors. This severe underuse was predominantly due to its location: Dongguan is home to around eight million migrant workers, who do not have the disposable income to spend in the New South China Mall’s high-end stores. Given the current decline in brick-and-mortar shopping, it’s unclear how long the world’s supermalls will be able to hold out. Black Friday 2018 marked the first time in the holiday’s history that e-commerce sales surpassed those taken in physical stores – US consumers spent $6.2bn online, an increase of 23.6 percent from the previous year, according to data from Adobe Analytics, which tracks transactions for the top 80 internet retailers. Sales made on smartphones accounted for $2bn of that figure. From a pragmatic point of view, running an e-commerce site, even when you factor in the cost of delivering products, is much more financially viable than keeping a supermall alive, especially when its customer base is dwindling every year. Even Amazon, the largest e-commerce site in the world, spent $61.8bn on operating expenses in the 2017 financial year, which, although a substantial figure, pales in comparison to its $177bn total revenue. No physical retail space could offer that kind of profit margin. In an attempt to guard against the rising e-commerce tide, the solution for many supermalls has been to become a destination in their own right. While malls have long included restaurants and cinemas, many have opted to take the concept further in recent years, adding features such as theme parks, zoos and even fishing lakes in a bid to draw consumers’ attention away from their screens. 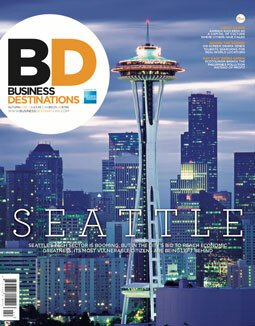 This transformation doesn’t solely help to attract consumers, but businesses too. Adam Walford, a partner at commercial law firm Howard Kennedy, told Business Destinations: “Malls and shopping centres need to be more than just buildings with shops in them… You can’t just build retail space and hope that commercial tenants will come.” The most successful developments, he argued, create a “community feel – somewhere people can live their lives and are happy to spend their leisure time in.” In this way, they’re more like “villages in a city than shopping malls, creating all sorts of footfall that the retail tenants can benefit from”, Walford added. But, as in so many other areas where supermalls are hopping on the experiential bandwagon, e-commerce is already forging ahead. On Singles Day 2018, China’s one-day mega shopping event, online marketplace Alibaba hosted a ‘gala shopping event’ at the Mercedes Benz arena in Shanghai, which included performances from Cirque de Soleil and American singer Mariah Carey. A consumerist message was evident in every performance, with some acts even pushing around shopping carts and singing songs with the lyrics “buy, buy, buy”. Other brands, while not going to quite the same extreme as Alibaba, have worked to meld e-commerce into physical shopping events. In 2018, Burberry became one of the first luxury fashion labels to introduce ‘see-now-buy-now’, whereby consumers can purchase items from the designers’ collection via social media as it is being shown on the catwalk. “Digital presence and physical interaction are integral to the shopping experience, often starting before the shopping visit and continuing afterwards,” said Virgile. Where once they might have queued for hours outside the physical store to get their hands on the latest design, shoppers are now able to complete the entire transaction from their sofa – and yet still feel as if they’ve shared in the catwalk experience. Try as they might, brands will never be able to change the fundamental truth of online shopping: that it is predominantly a solo exercise. Beneath all the smoke and mirrors, e-commerce evolved as a solution for a time-strapped world, by alleviating the need for shoppers to visit a specific location, try items on and spend hours queuing to spend their cash. Many people simply do not have the time or inclination to visit brick-and-mortar stores any more, and e-commerce has evolved to satisfy the shopping needs of those consumers. By attempting to integrate time-consuming social experiences into the online model, brands are demonstrating a lack of understanding of the model that they have created. Nevertheless, as Virgile explained: “As online shopping inevitably increases, the technology-loving customers of today will still need to socialise in person, share experiences and hopefully respect the creativity of a human touch.” Supermalls are poised to jump on that opportunity with their newly minted, experience-driven model that fosters a sense of community, while incorporating the retail aspect.